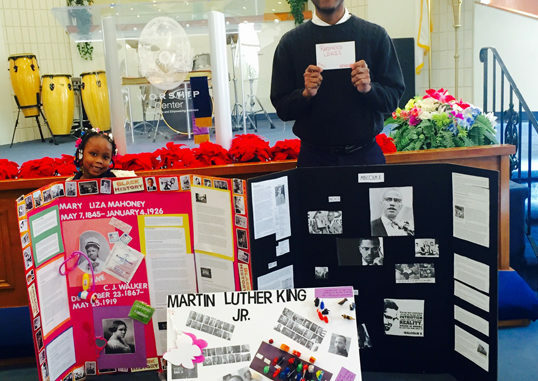 Shown is first place winners Kindergartner Imani Diatti and high school senior Rasheed Lewis with their projects. 2nd place winners Senior, Rasheed Lewis, 9th Grader, Jordan Uzzell and 3rd Place winner 8th Grader, Thomas Nelson. 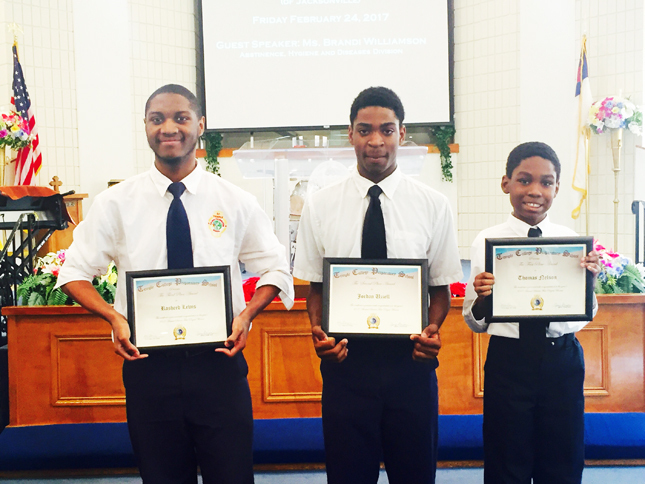 Temple College Preparatory School hosted a Black History and Science Project contest completed by all students in grade K-12. To honor the occasion, a spciecl assembly was witnessed by parents and family members to award the winners. The winners received ribbons, certificates and monetary gifts for their efforts in creating Science, Technology, Engineering and Math award winning projects.